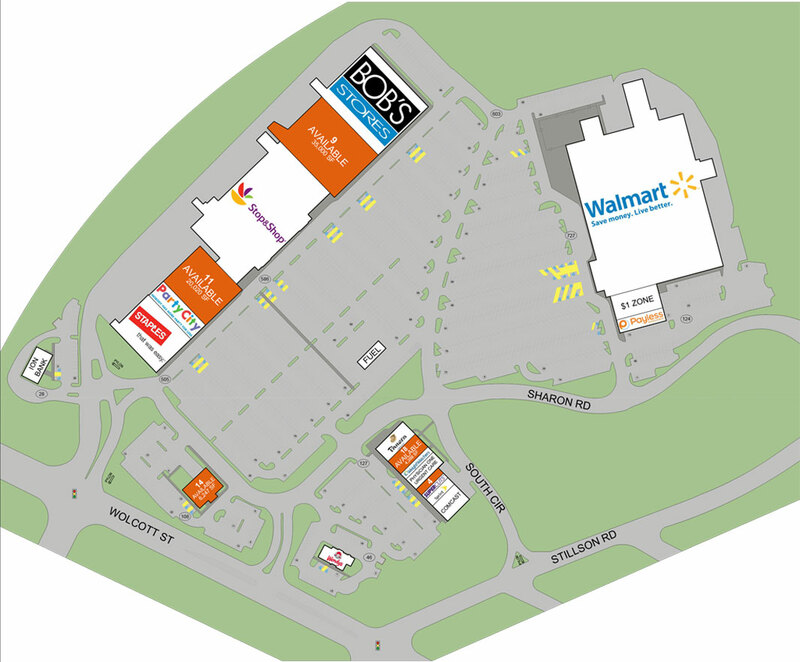 The Naugatuck Valley Shopping Center is a 383,000 square foot grocery anchored shopping center in Waterbury, Connecticut. In close proximity to Interstate 84, and is situated along the most heavily travelled route between Boston, Hartford, and New York City. Most of Connecticut’s wealthiest towns and strongest demographics are located in the southwest quadrant of the state. Co-anchored by a recently renovated Stop & Shop, New England’s dominant grocer, and the highest volume Walmart in its region, the center is strategically positioned with a dense population of approximately 100,000 people within a three mile radius of the center.